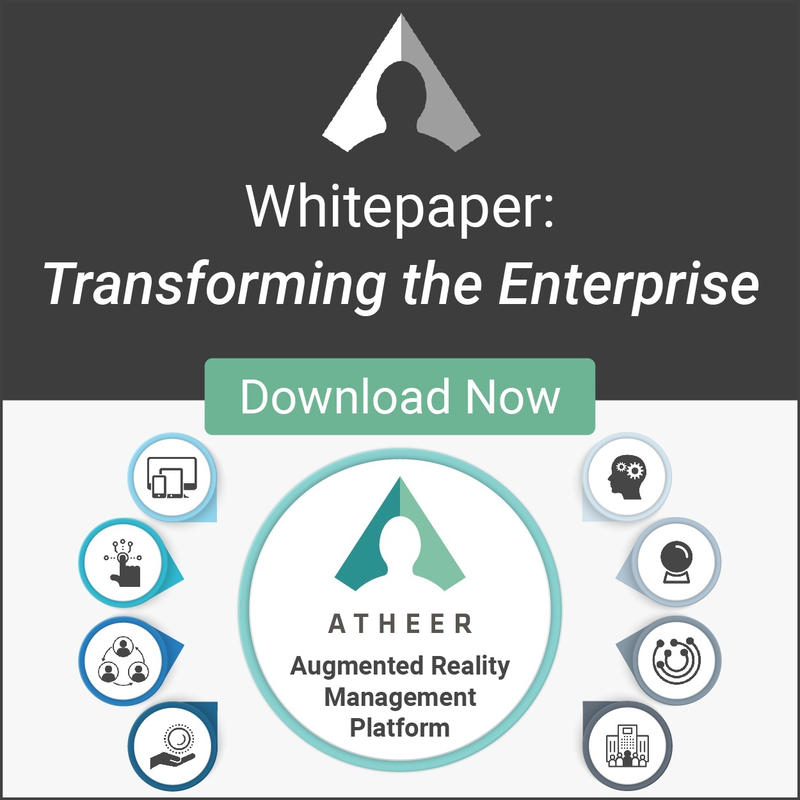 But if the jobs in your company require employees to work truly hands-free – yet have access to vital collaboration tools, digital assets and work instructions within their field of vision – then you need to seriously consider using smartglasses. Do you need a Monocular or Binocular design? - (i.e. smartglasses that have a screen only for one eye, or do they have two screens, one for each eye?) What you’re trying to do and how they will be used will largely dictate this choice. If you have a limited set of data that you want to display in the glasses and need a solution that is both inexpensive and lightweight, then monocular smartglasses will be a great option. 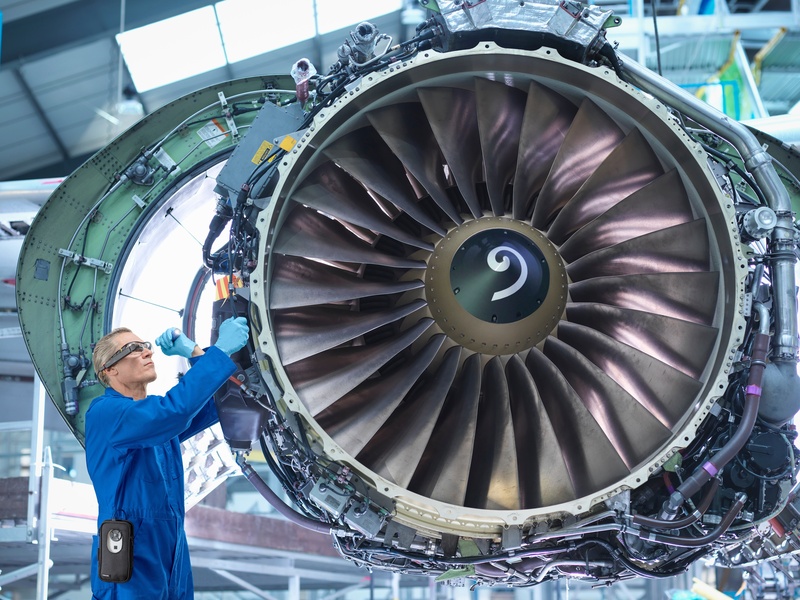 There are a growing range of great monocular options, including the Toshiba dynaEdge AR SmartGlasses, which provides all the power of a Windows 10 PC in your field of vision – yet supports capabilities that are key to augmented reality. If you want to provide a 3D experience to your users, or want a device with a large viewing area to display rich images, videos and documents, then a binocular device will be a better option for you. While monocular devices are typically cheaper than their binocular counterparts, you will find devices of both types across the price spectrum. How important is the weight of the glasses? – People tend to be pretty sensitive to weight placed on their head and nose bridge, so it’s no surprise to see many glasses designed with a tethered architecture, which reduces the weight of the headset itself, at the expense of having a tethered controller/battery pack unit. All-in-one devices such as the ODG R-7 tend to be compact and simpler to manage, but this often comes at the expense of greater weight, and/or limited battery life (which can be mitigated with an external battery pack, which defeats the tether-less purpose). 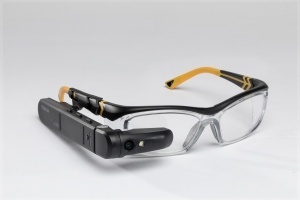 Epson’s Moverio BT-350 smartglasses, for example, weigh only 119 grams for the headset itself – achieved through a tethered design in which battery power is delivered to the glasses through a connected controller. This design reduces the amount of weight in the smartglasses themselves making them comfortable to use for long periods of time. 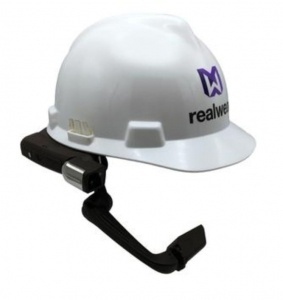 Other form factors are designed to mount directly to hardhats (such as the RealWear HMT-1) to both ensure they don’t impeded the safety of the wearer, but also help distribute the weight better. How do the smartglasses fit? – If you are using a pair of smartglasses for a significant part of your working day, you’ll want to ensure that the smart glasses fit well with any PPE you may use, and are comfortable for long periods of time. In addition, you’ll want to ensure that the smartglasses don’t create any blind spots for your users so that they can move around and navigate their environment safely. What kind of battery life do you need? – Effective battery life for smartglasses (just like for any mobile device) is dictated by 2 variables: the size/capacity of the battery in the device, and the usage/application running on the device. Larger devices will have bigger batteries, but this comes at the cost of extra weight. All smartglasses support external battery packs that can be plugged in through a cable to extend your battery life. Some manufacturers provide a “hot swap” capability to help address this issue so that you can swap batteries with a low charge for fully-charged batteries while you are working. And of course, how you use the glasses will affect how quickly you use up the battery in your device. Power-hungry applications such as running the camera and streaming content over WiFi, both of which happen during remote video calls, will eat through your battery. Lightweight use such as step-by-step work instructions, and documentation via pictures will enable a same device to last much longer on the same battery. What’s the optimal display size and quality for your use case? - In the context of smartglasses, displays can be measured in a few different ways. To start with, there’s the size of the “virtual display” floating in front of you which will typically be given in number of inches at a certain distance (i.e. 40” screen at 7’). The detailed offered by these displays is measured in the same way as a traditional display through resolution, with a designation such as WVGA (854×480) or 1080p. Monocular devices tend to have smaller displays, and as a result are better for glanceable content where you need to get 2-3 key pieces of information to complete the job. Binocular devices tend to have bigger displays and often offer a more comfortable viewing experience when consuming large pieces of information, be them images, videos, documents, and more. And remember, the most important consideration in choosing smartglasses is your use case. Being clear about what you want to do, how you are going to measure ROI and what will be important to your workforce will guide you to weigh the importance of all the factors we have listed here. If you are still unsure about which device is best for you, feel free to reach out and we would be happy to guide you through the process.